Bocuse d’Or Canada tasting from Chef Alex Chen at Railtown Cafe testing kitchen on January 20, 2013. 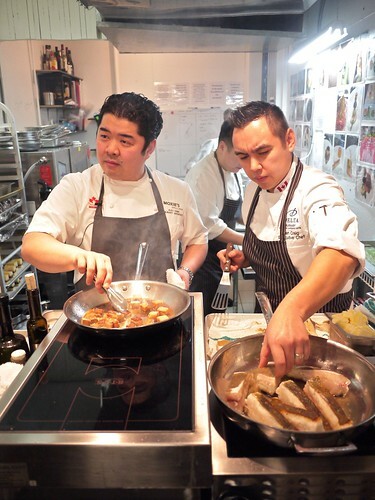 Chef Alex Chen (below/left, former executive chef at the Beverly Hills Hotel and current culinary architect at Moxie's) with Chef Daniel Craig (below/right, from Ebo Restaurant) is headed to Lyon, France as Canada’s Bocuse d’Or representative, competing in the world's most prestigious culinary competition. We were treated to a sampling of what Chen and his team will be creating for the international panel of judges. 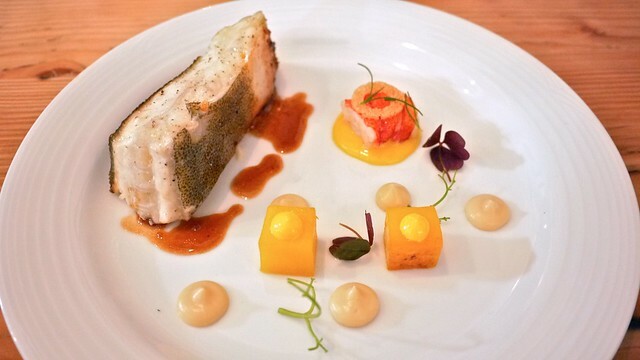 First, we tasted the roasted bone-in turbot (fish) with saffron potatoes, butter poached lobster, lobster hollandaise, cauliflower puree, and lobster vinaigrette. 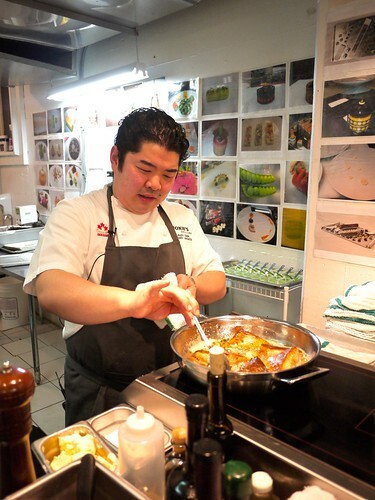 Chen remarked about how difficult and expensive it was to import turbot (native to the Baltic Sea) as one of the finer types of fish, popular in Europe. It was soft, light, moist, and quite appealing to the taste buds. 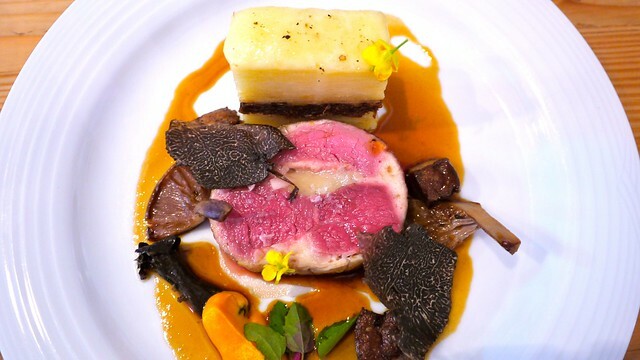 Second, Chen served a roasted beef tenderloin with bone marrow roulade, seared foie gras, black trumpet, mushrooms, ox tail gratin, and shaved black truffles. 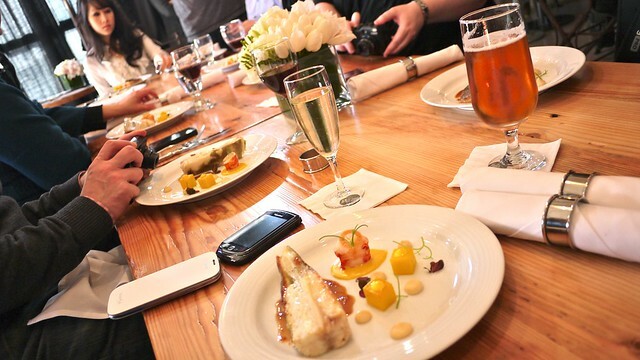 This made for a very delightful, rich, and sensuous meal. 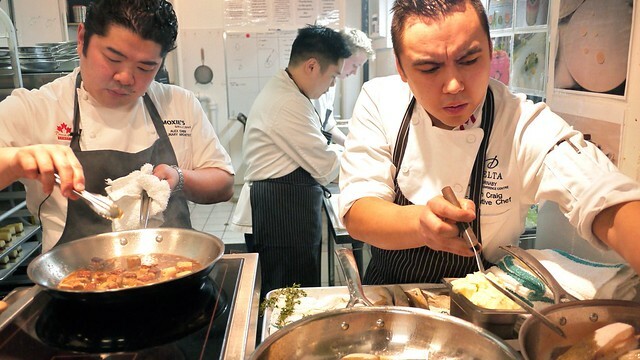 Twenty-four of the world's very best chefs will convene at the end of the month in France for a demanding culinary competition as Chen hopes his tireless training for the last twelve months will prepare him well to bring back glory for Canada.